Hi All , i believe this to be a British land transport sword , i have attached photos with markings on both sides of blade. Can someone enlighten me to what those markings stand for & is this 1854 ? Yes you indeed have a Land Transport Sword, c.1856. The number under the crown is an inspector's mark and I can't make out the other marking to be sure of what it is. If it is a knight's head then it would denote that the blade was made in Germany, which was common at that time. I don't recognise what the markings on the cross guard stand for but perhaps another member with more knowledge will be able to help. You are probably aware that this particular model of sword was probably never actually issued; at least from what I have read on the topic there are no supporting documentation to show issuance. 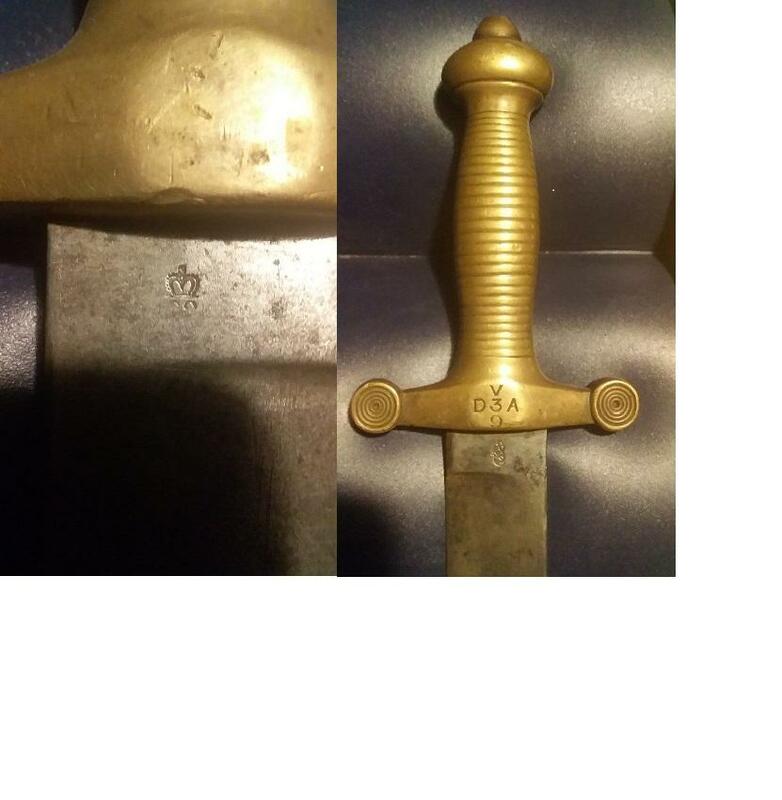 The one I have in my collection has markings on the scabbard but none on the sword. I have been trying to find out information for years on these markings with no luck. Personally I think these are one of the more unique swords in the British sword history and even though they are often found in excellent condition they don't seem to demand a very high price, yet very well worth a place in any sword collection. If I find out any further information regarding the markings I will be sure to share it here. I forgot to mention that I have a post dealing with the Land Transport Sword under "Military Hardware" subsection "Edged Weapons". Look for my general post "Lets Talk British Swords" and scroll down to my article for more information. The sword from my collection is pictured there as well. Hi Brian , Many thanks for the information you have provided. I had tried to research myself but like you say no luck finding much. I will jump to your Military Hardware sub section & have a good read up there. Many thanks Trooper_D, a very interesting read. I have posted the link above to the "Lets Talk British Swords" area for future readers of that section. I believe it is well worthwhile. How's that for a safe and quite broad identification; just put everything in one of two categories, British and non-British.